What does your morning routine look like? Do you roll out of bed energized and ready to take on the day? Or are you like most and can’t remember how many times you’ve already hit the snooze button? 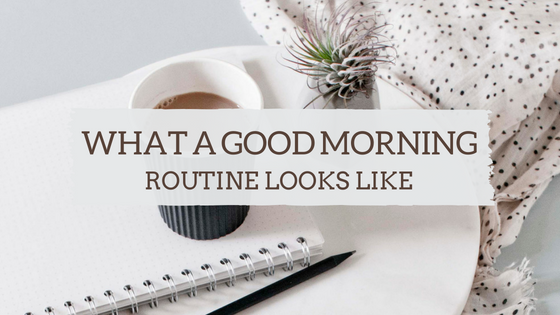 Your morning routine can easily set the vibe for your entire day so if you dread mornings maybe it’s time to revamp your morning routine and reset how you take on the day. It takes 21 days to form a new habit; we’ve added a few strategies to help you successfully change your morning routine for the better. This is a tough one but you shouldn’t be discouraged as we’ve added this to the top of the list for a reason. An extra 10 or 15 minutes is all it takes and you should use this time to get out of bed and stretch, meditate, or just make your way to the coffee pot. Use this time to relax so that you can wake up more peacefully with clarity. Avoid the temptation to check your phone. What is the first thing you do in the mornings when you wake up? If checking your phone is the first thing you do in the morning, you are not alone as most people awake to check emails, texts, and anything else they may have missed during the night. The problem with this is that it takes away the peace from your mornings. Work can wait; instead of flooding your mind with stressors that can be dealt with later, forgo checking your electronics until after you’ve settled into your morning routine. Set aside time to set your goals. Now that you’re feeling more alert after waking up 10-15 minutes earlier, you should set aside a few minutes to jot down your goals for the day, week, or month in your notebook or journal. There is something calming about putting pen to paper and it’s well known that you’re more likely to reach your goals when you’ve chosen to write them down. Give yourself some time for personal development. Setting aside time to work on our own personal development is usually the first thing to go out the window when we’re dealing with a hectic schedule. However, this can end up being damaging in the long run, leaving us feeling drained and burnt out. The mornings are a great time to work on ourselves, set aside 10-15 minutes to read a self-help or personal development book or grab a book on tape and relax with your cup of coffee while listening. You can also use this time to grab your journal and reflect on your goals both past and present. Reflection is key when it comes to improving ourselves. You’re in control of your day. Everything comes down to the choices that we make. Although we aren’t always in control of what happens throughout the day, you are in control of how you react and perceive each situation you encounter. If you wake up in a negative mood, make a conscious choice to be happy instead, chances are your day will end up much better when you actively make a choice to change your mood.